Many a time I’ve picked up a potato when preparing a meal and asked myself is it too green? How green does a potato have to be before you discard it? A quick internet search soon reveals conflicting advice. The Food Safety Authority of Ireland gives a reassuring message that most of the toxins in a green potato are near the skin, so peeling will remove most of the harmful substances. However , if they still taste bitter once cooked, it would be best to discard them. Medline Plus the US National Institutes of Health’s Web site produced by the National Library of Medicine, the world’s largest medical library, takes a more cautious approach, advising never to eat potatoes that are spoiled or green below the skin, and to always throw away the sprouts. So, what is all the fuss about? 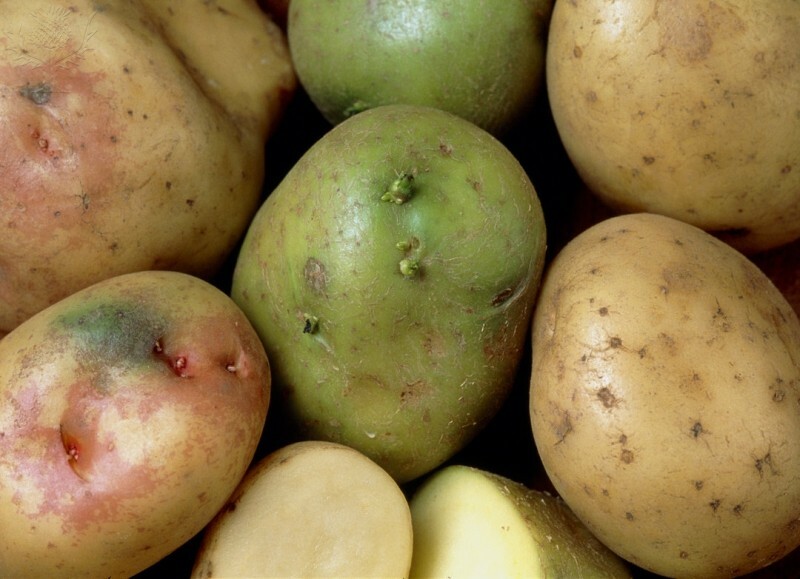 The harmful substances we are concerned about in green potatoes are known collectively as glycoalkaloids (GAs). Although we mostly hear about the glycoalkaloid solanine it is accompanied by chaconine, which is more toxic. They are present throughout the plant and protect it from insect pests and fungal infections as well as deterring herbivores. This is definitely good news for the plants! The trick that potato growers need to pull off is to preserve these protective properties in the green shoots while keeping the GAs in the actual potato tubers (the bits we eat) as low as possible. One well-kept secret is that all potato tubers contain GAs, even the white ones. If you weigh 50kg, you would need to eat 100mg or more of GAs before you are at risk of developing symptoms of abdominal pain, vomiting, and diarrhoea. 100mg of GAs is typically present in only one kilo of non-green potatoes, although that is a lot for a small person to eat in a day. Peeling potatoes can remove half of the GAs, depending on how thick the peel is, for instance. The average potato consumer should be safe, although there are individual variations in susceptibility. That is not the whole story. Some varieties of potatoes have much higher levels of GA than others. Behind the scenes of the supermarket shelves, scientists and farmers have been waging a quiet war against certain varieties of potato that have been found with dangerous levels of GA. Sweden has outlawed one potato variety, which has over three times the recommended maximum levels of GA. GAs also fluctuate in all potato varieties according to growing and storage conditions. Any damage to the tuber causes a local rise in GAs. 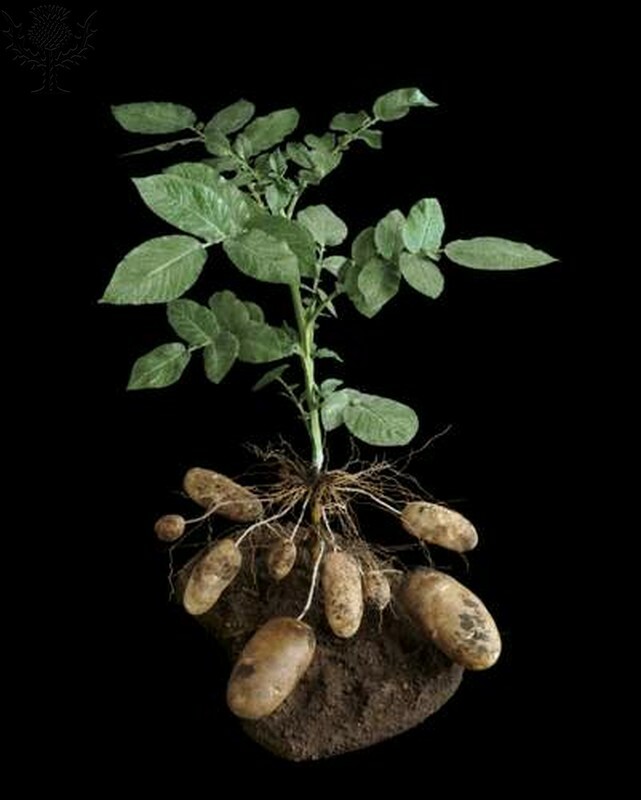 A green potato is a signal of a GA ‘hotspot’, a protective response by the plant to exposure of the tuber above the soil. The green pigment itself, chlorophyll, is harmless. Removing the green parts of the tuber does indeed greatly reduce the amount of GAs left in the potato. Some GAs are also lost in cooking, but mainly though leaching into the cooking water as they need very high temperatures before they are destroyed. Unfortunately, the ‘lazy cook’s’ method of microwaving whole potatoes for a quick meal is a sure way of carefully preserving all the GAs present. Am I still going to eat potatoes? Yes. Am I going to throw away any green potatoes? I might be more likely to in future. Machado, R. M. D., Toledo, M. C. F. and Garcia, L. C. (2007) ‘Effect of light and temperature on the formation of glycoalkaloids in potato tubers’, Food Control, vol 18, no. 5, pp. 503-508. Mensinga, T. T., Sips, A. J. A. M., Rompelberg, C. J. M., van Twillert, K., Meulenbelt, J., van den Top, H. J. and van Egmond, H. P. (2005) ‘Potato glycoalkaloids and adverse effects in humans: an ascending dose study’, Regulatory Toxicology & Pharmacology: RTP, vol 41, no. 1, pp. 66-72. Valcarcel, J., Reilly, K., Gaffney, M. and O’Brien, N. (2014) ‘Effect of Genotype and Environment on the Glycoalkaloid Content of Rare, Heritage, and Commercial Potato Varieties’, Journal of Food Science, vol 79, no. 5, pp. T1039-T1048.